What stands out with Marc Almond is his ability to have one foot in the mainstream, and the other foot in the more avant garde/underground music circles. Marc makes it look effortless as he switches from one genre to another, depending on the project he’s working on. Perhaps another reason why I’m still a fan of Marc is that musically he’s constantly evolving. Instead of resting on nostalgic laurels, as with the case of some ’80s bands, Almond embraced different styles such as French chanson and Russian folk music. With this Marc Almond has proved to be a versatile artist again and again. In my eyes he’s an extremely underrated musician, especially here in the United States. I remember buying “Untitled” used on vinyl years ago. It was brought on a lark, particularly since I had just gotten my first steady job. Later on, when I first got into Psychic TV, I was happy to find Marc Almond listed in the credits from the “Dreams Less Sweet” album. Also brought on vinyl was Marc’s second collaboration with Foetus called Flesh Volcano. Come to think of it, much of my teenage vinyl, ranging from PTV to Coil had Marc Almond doing guest vocals. 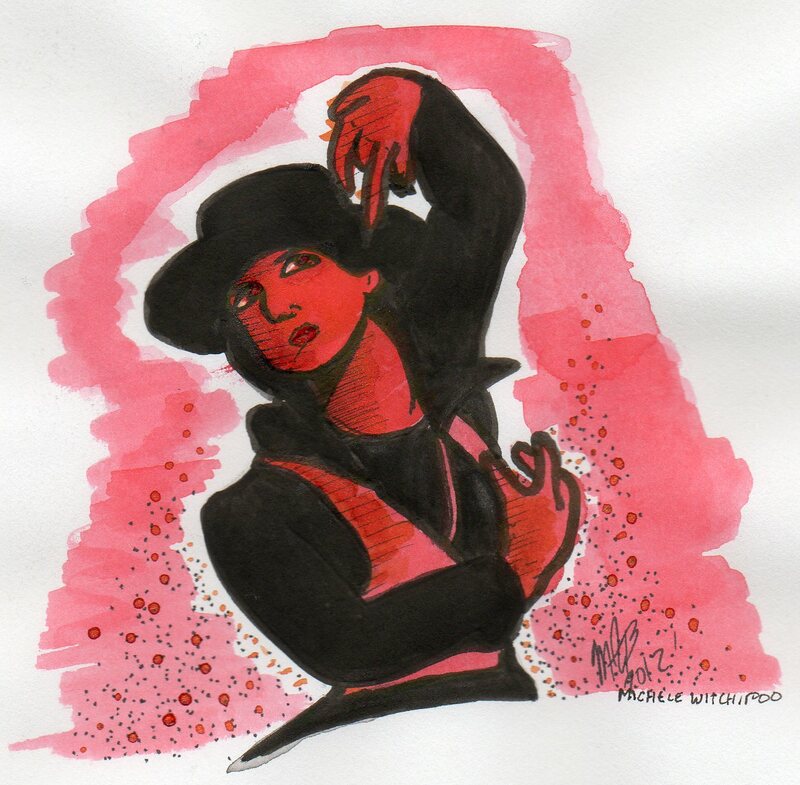 Lastly, influenced by Marc and The Mambas and Val Denham, here’s my quickie artwork of Marc Almond. Here I used basic pen and ink, created tonight. Well, it is just a quick sketch. Enjoy. The title says it all. There’s a new Psycho Bunny story in the latest issue of IF-X, issue 8, vol. 2. 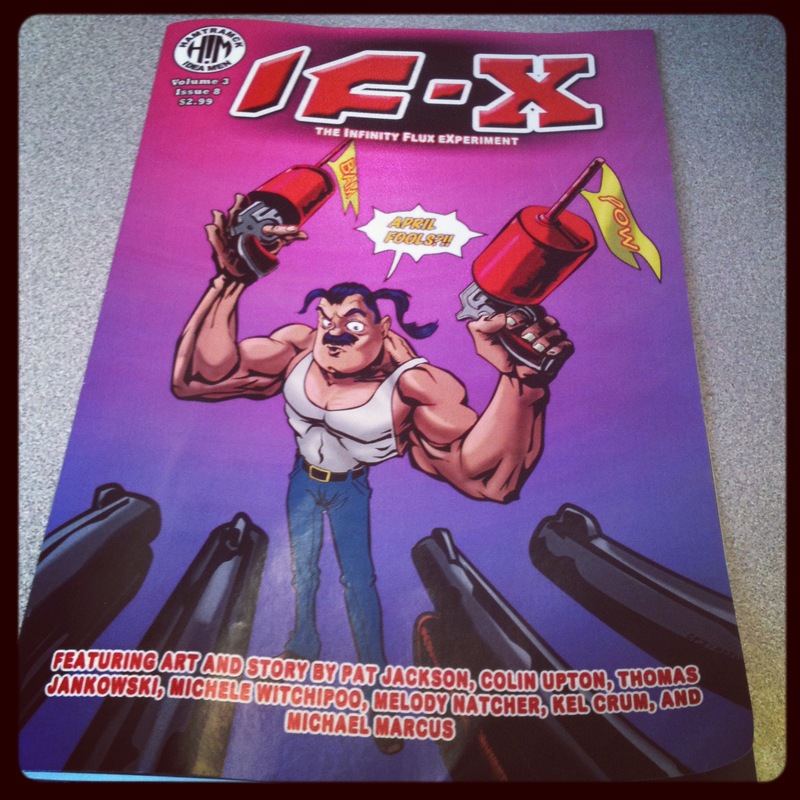 Cover of IF-X, issue 8, vol. 2. New Psycho Bunny story in this issue. Published by Hamtramck Idea Men. 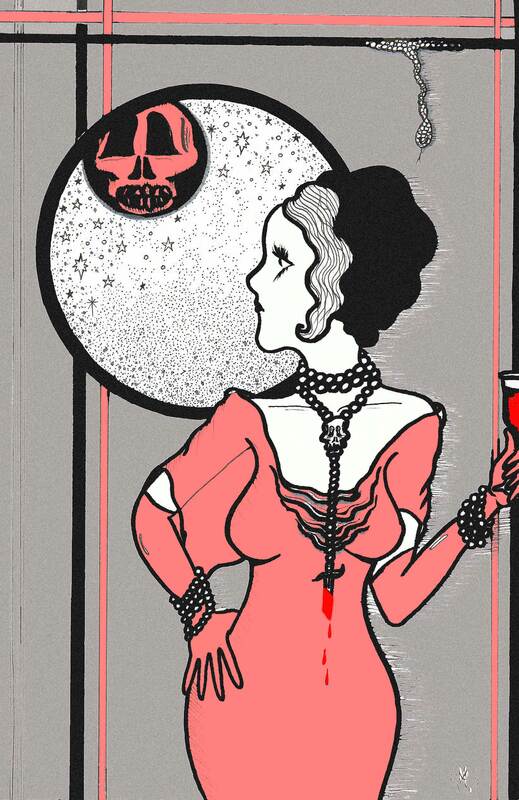 Psycho Bunny story and art done by Michele Witchipoo. 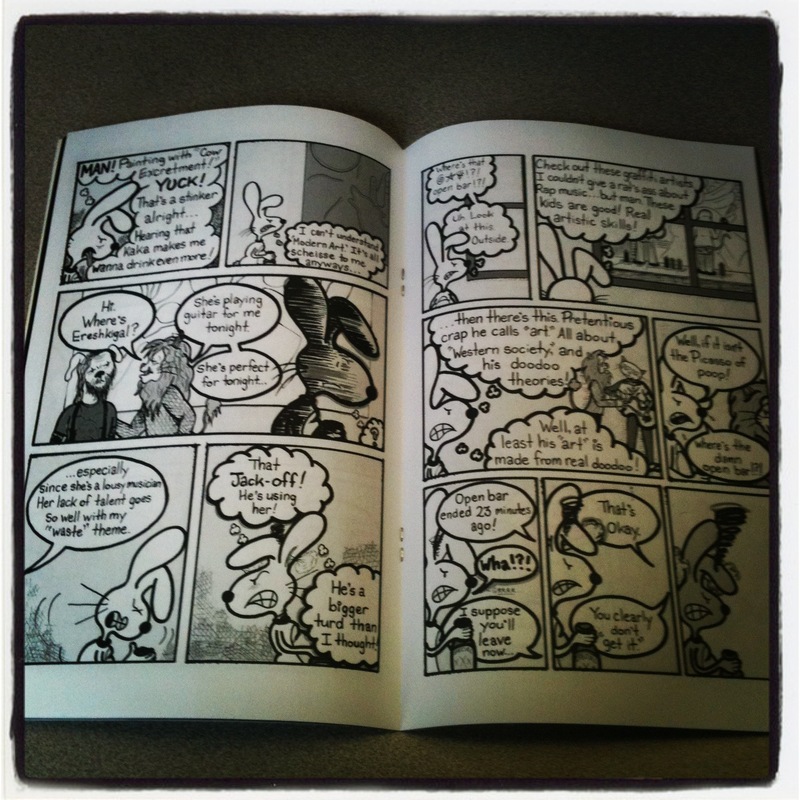 Latest Psycho Bunny story in IF-X issue 8 vol. 2. Published by Hamtramck Idea Men. Psycho Bunny story and art done by Michele Witchipoo. Published by Hamtramck Idea Men. Psycho Bunny story and art done by Michele Witchipoo.